Our badge reels can be personalized with your company name, logo or monogram. 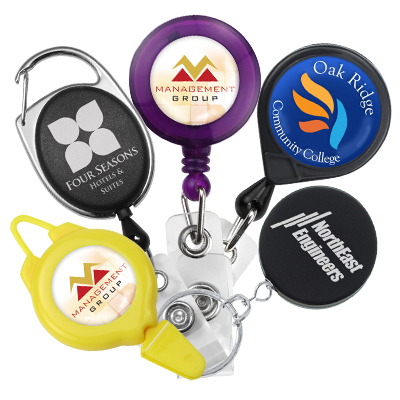 Consider using a custom carabiner badge reel to promote your organization at your next trade show or other event. Reel Size: 1 3/4" x 3/4"